I first read about Tom Lochtefeld's obsession with the perfect wave in Novembers Forbes magazine. Since 1987, Tom has been perfecting the wave machine of all wave machines. It's a back of beermat business idea come true. They come in at $450,000-$2m each and a fair wack more to install. But by all accounts their worth every penny. Go on Tom, bring one to central London. News websites are all the same. 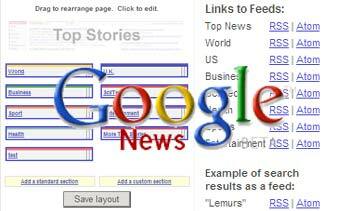 News on the web is generic. Regurgitated. These are some of the comments in Mark Cuban's post "Where newspapers kick the internet's behind". It's a straw poll of one, but it's also quite refreshing to hear a hugely successful internet entrepreneur giving newspapers their respect. He argues that when you go online for news, you get the same AP feed generic news and if you are lucky, it has been reworded. I think he's right. Newspapers continue to be the most reliable source of in-depth, well written, original and challenging news across a wide range of subjects. To differentiate a site with original content gives readers a deeper brand experience and a desire to return. The Long-Tail also plays a significant role. The generic breaking news story inevitably gets all the traffic volume, the well-thought through 'expensive' piece that follows sits in the long-tail. The faster the article appears, the closer to the front of the tail (so the more traffic and $'s is generated) it will be. The Guardian announced on Monday that articles would be published to the web first. They've taken the first mover advantage to differentiate themselves, bringing the story closer to the front of the tail along with the volume and revenue. If you're are a Guardian newspaper reader will you drop the paper? I suspect not. It's hard not to blog about the World Cup right now. Broadband is bringing games, stats and the ability to share our experiences to us on web, mobile and TV. YouTube, Flickr are leading the way in giving us the fan's eye-view from living rooms to stadiums. And if you're stuck in a country with limited World Cup on free to air TV, try the tips to watch World Cup games live on your PC. TV and Web get closer all the time. I wonder if Fifa will be estimating the number of online TV viewers. UK viewers can watch all games live on the BBC. This World Cup is a trial run for web 2.0. In 2010 there will be more viewers than ever before, watching games, fans and experiences on all kinds of devices. Next time the media wont be entirely controlled by traditional broadcasters. I prefer some of the photography from fans than video content. If you come across some great World Cup user generated content add your link. 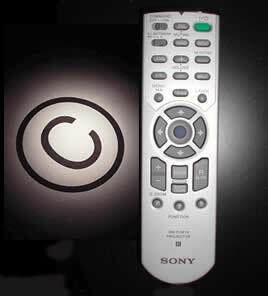 Disruption: IPTV, control or freedom? A few tech headlines this week seem to overlap in a number of ways - a difficulty to adapt to the disruptive nature of our digital world. Google.com has been blocked in China, according to the BBC, in favour of the now censored Google.cn. A few thousand miles away, Russia's allofmp3.com (the second most popular download site in the UK)is being slapped for breach of copyright. In the UK, Tiscali's investment in Juke Box, a music sharing service, has been forced to close following disagreements over the "level of interactivity" the consumer should have in their choice of music. Legal or illegal, in all cases, there is an underlying problem with the openness of the web. The users drive demand across borders, laws and governments. That's something that is hard to control. The music industry has long struggled in coming to terms with the change in its business. We don't want to pay $20 for an album anymore. In fact, we'll make our own albums from the tracks we like. This industry, fat with revenues, has to shed costs since no amount of legal proceedings is going to bring control back to the music business. Consumers will buy albums at the right price, that's why Allofmp3.com is so popular. Hell, the same users could have downloaded the albums P2P for free, they chose to pay. This shake-up is fast approaching TV. IPTV - TV broadcast on open web-based standards - will break the broadcaster's control of the tube in your living room. So your set-top box can be fully customised - you want to watch the World Cup in Chinese? just plug-in the feed. Don't want to subscribe for a premiership game, grab a free overseas broadcast. When multi-media distribution is open to the masses, content, flexibility and cost will be king. The smart companies realise that the volumes of consumers can be bigger than any 'controlled' broadcast, but the margins will be smaller. Just a brief post for an excellent piece of video content filmed in Vietnam. There's only so many video's of cats falling off trees that you can watch in YouTube and others. The professional content still stands out and will, in time, be what keeps people on video sites longer.